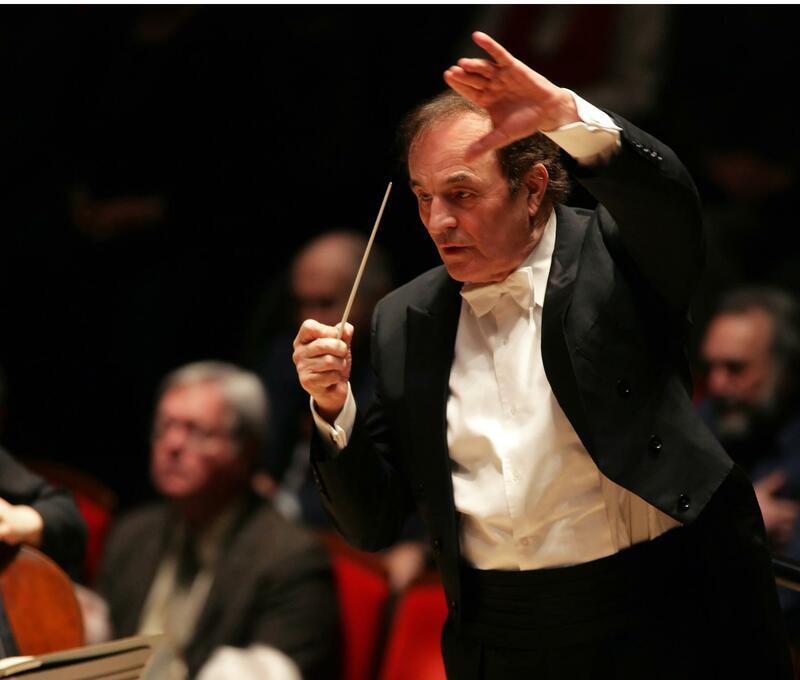 Charles Dutoit conducting the Philadelphia Orchestra. Philadelphia Orchestra audiences have been seeing a parade of guest conductors this season, and the change-ups continue to show intriguing prospects for an orchestra in transition. Meanwhile, the current chief conductor, Charles Dutoit, is leading the fab Phils with his equalizing hand and, quietly, asserting its signature sound. Two recent performances showed many percolating strengths and some lurking weaknesses. Sir Andrew Davis conducted a program of Mozart and Elgar at the end of March that also showcased 24-year-old violinist Stefan Jackiw playing Mozart’s Violin Concerto No. 4. Jackiw seemed to have tentative interplay with the orchestra that allowed cloying moments and skittish handoffs — redeemed, by Jackiw, in the long solo, played with conviction and clarity. The coda was completely mis-paced, framing a brittle finale. Still, a passionate effort from a very promising violinist. Maestro Davis’s contours of the Elgar First Symphony were the real surprise in this concert. British stateliness is its subtext, and the orchestra brought forth both grandeur and intimacy. Davis was in easy command of the symphonic clarity, contrasted with the deep tones of David Kim’s violin, essaying a pulsing inner narrative. Two weeks later Maestro Dutoit vividly displayed his mastery, if not range, in a showcase of early 20th-century masters, consisting of two warhorses and a work rarely performed. The selections were Dutoit’s study in contrasts, even with some static moments, mostly showing orchestral drama, litheness and cohesion. Guest pianist Piotr Anderszewski essayed Polish composer Karol Szymanowski’s Symphony No. 4 for piano and orchestra with its anti-concerto, jagged structure. The composer is among the crop of innovative composers of that era lead by Stravinsky and Bartók. This explosive work is prescient to symphonic jazz, but actually foreshadows ideas closer to those of Thelonious Monk. In the opening passage, Dutoit didn’t seem to have a complete hold on the weight of the concrete chaos of the piece, but by the time Anderszewski hit the first of many menacing keyboard runs, stating disturbed themes, this piece came together. The chord clusters and furious tempo require hammering hands, but Anderszewski never pounds it out. His complete mastery of the interior of this work was less about virtuosity than about exploring its density of musical ideas. He alternately caressed and lacerated, moving in and around Szymanowski’s huge symphonic architecture that is as much silk as it is steel. The orchestra seemed sapped moments later for a very tentative, studied reading of Debussy’s “La Mer,” opening with very hazy, rather than crystallized, vistas. Kim’s violin recalibrated, with clarion tone, but this sat on a shallow orchestral pool. In contrast, a gripping opening to Stravinsky’s “Rite of Spring” by bassoonist Daniel Matsukawa unlocked a kinetic, tightly paced narrative of the virgin sacrifice. This infamous work was a scandal from both the music and dance ends. For half of it, Dutoit held to lavish detailing, digging out the exotica and letting Stravinsky’s brutality build internally. The horns had…well, horny instincts, stoking the sexual menace, and the percussion roiled with violence. Dutoit let it spin out toward the end, and some of those rites were rote.